We want to know how to bootstrap an openui5 application. A project, which you will have after finishing all steps from the article, is a core for future projects from other articles. Answer all questions after issuing yarn init and you will have package.json configuration file for the project. In project folder you may find yarn.lock file. Please, do not edit the file and you need commit the file to git repository. gulpjs/gulp#4.0 for latest gulp features like gulp.series, gulp.parallels, etc. Here you can configure openui5 resources to use. We have configuration for openui5 version 1.50.8. If you remove version number in target option, you will have latest openui5 version every-time. It is configuration of openui5 application. Complete list of possible configuration options can be found here. Content of src folder will be copied to root path in-memory, watchers will be started, browser-sync server will be started and our app will be opened in Chromium browser. 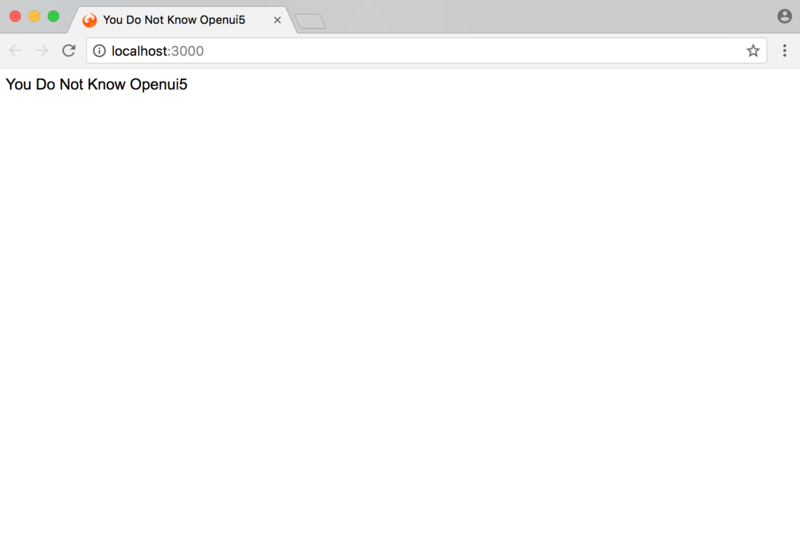 Bootstrapping of openui5. My recommendation is use separate file for configuration. Start point of application. I recommend you, separate main js and main html every-time. Development dependencies via yarn. It is super fast. Gulp tasks: copy files, watching for changes, start development server. In-memory development. It is faster then usual approach. Development server with proxies to prevent CORS issue.